MusicomLab switchers are extremely easy to use, tonally invisible, most compact systems in their class with a thoughtfully designed feature set that covers the essential pedal switching needs for the working musician. 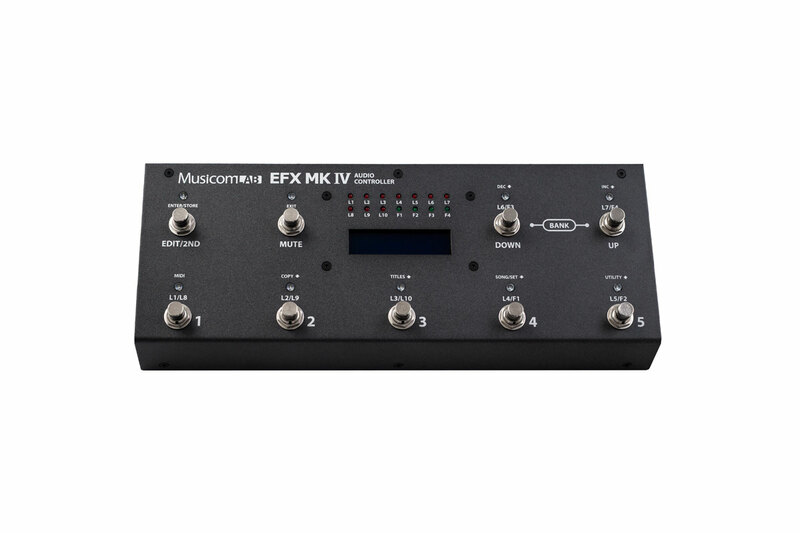 The EFX MKIV offers a full set of features, yet is straightforward enough for the player who wants to start with the basics while having room to grow. 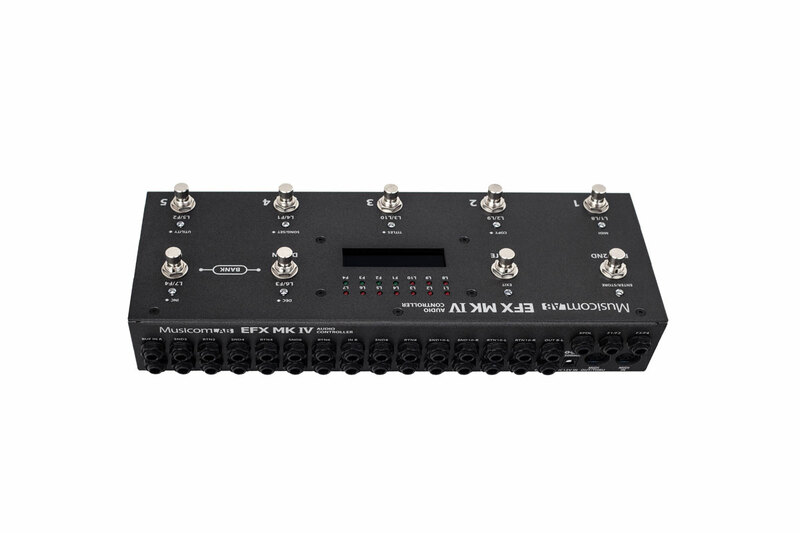 With its MIDI capabilities and unique features like song and set-list modes, it is the perfect switching solution for the pro musicians.